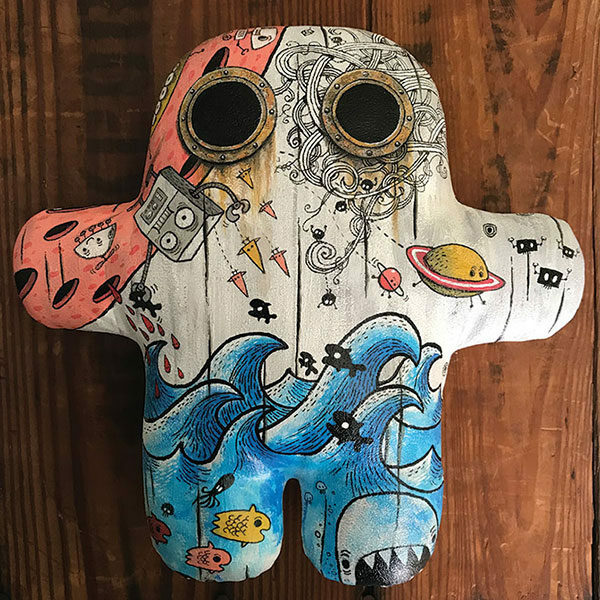 “The Moon and the Sea” by Jim Bradshaw will be for sale and exhibited among 40 artists at the Plushform 10 Year Anniversary Show at Rotofugi Designer Toy Store/Gallery in Chicago. The show opens April 14 and runs until May 6. The Jim Store is Open! Jim’s work has been seen in children’s books, magazines, tv commercials, galleries, advertising, in-house publishing, etc. He has also shown in various galleries and received … Show more. Send a message directly to Jim Bradshaw. Jim’s work has been seen in children’s books, magazines, tv commercials, galleries, advertising, in-house publishing, etc. He has also shown in various galleries and received commissions for original art. After many years in the corporate and agency worlds he is doing illustration full-time, and is looking to take on more book and editorial illustration as well as explore, licensing for characters and surface design. Jim has also set his sites on more gallery shows, trade shows, craft shows, sculpting, an online store and any of a number of other creative ventures as time allows. Clients: Children's Television Workshop, Bantam Doubleday Dell, Gibbs-Smith Publisher, Astal Media (VRAK TV), Blik (KCRW radio), Breakaway and Clubhouse Magazine, Electric Company Magazine, Kid's City Magazine, Ghost Writer Magazine, Better Health Magazine, Nabisco, Nylabone, AC Moore, RoseArt, etc.